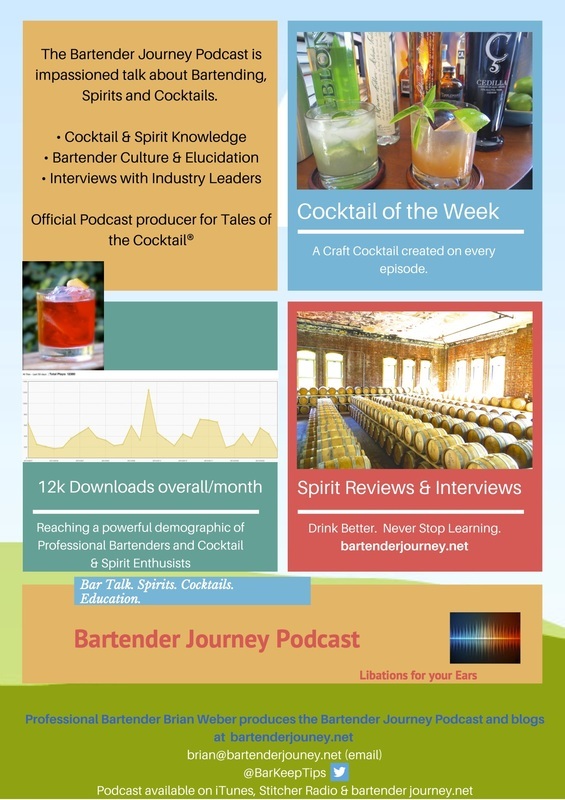 Be our guest - we'd enjoy chatting with you on the Podcast! Our audience members are Working & Aspiring Bartenders plus Cocktail & Spirits Enthusiasts. The group is passionate about hospitality, learning about new products and continuing education. Spirits & Bitters producers are encouraged to send samples of their products. Authors are encouraged to send review copies of their books. To request the shipping address for where to send product samples or review copies, please use our ﻿contact form. Interviews are generally conducted via Skype on Tuesday and Wednesday afternoons (eastern time). *To schedule an interview, please click here to chose a time slot that is convenient for you. Please choose a slot that is at least 7 days after you expect samples, (or review copies) to arrive. If the none of the time slots will fit into your schedule, please use the ﻿contact form and we will do our best to find another time. Thank you! We look forward to speaking with you! Cheers. When speaking with Distiller & Brand Ambassador guests, we will oftentimes conduct "virtual tastings". This is where we have a Representative from a spirits company on a video chat and taste through the products. We will also usually feature the brand in our "Cocktail of the Week" segment. Kappa Pisco with Anne-Louise Marquis, Brand Ambassador. (Listen now with player on right). Del Maguey Mezcal with Misty Kolkofen, Brand Ambasador. Leblon Cachaca with Steve Luttmann, Owner. Bain's Whisky (South Africa) with Andy Watts, Master, Distiller.